Contains gluten. May contain wheat. Also, may contain Wheat. Wheat contains gluten. Contains Oats. Oats contain gluten. Store in a cool, dry, odour free place and once opened in an airtight container. Instructions: Allow approximately 50g oats per person. Place oats into a large non-metallic bowl, add 300ml of cold water and stir. Alternatively milk can be used instead of water. Cook on full power for 2 minutes 30 seconds (800W)/2 minutes (900W). Stir then cook on full power for a further 2 minutes (800W/900W). Instructions: For best results, cook on the hob. 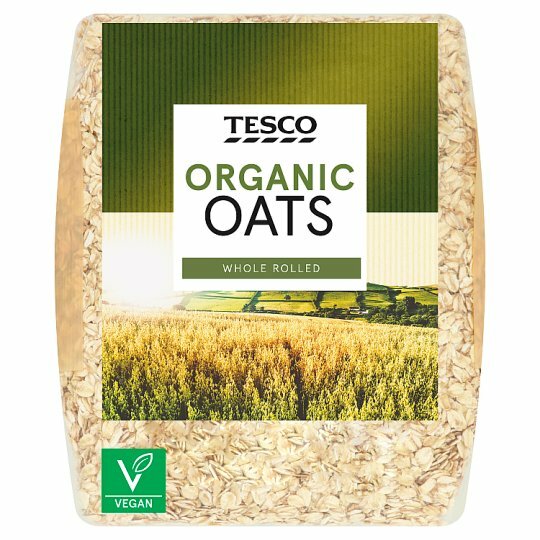 Allow approximately 50g oats per person. Place oats in a small saucepan and add 300ml of cold water and stir. Bring to the boil and simmer for 6-7 minutes, stirring continuously.